I’ve only had one dog in my life and she was incredible. When I brought home Marly, a scruffy, tiny, rescue dog from the pound, my husband thought I lost my mind. I hadn’t a clue what to do with her but thankfully Bill did. She was our first baby and one of the sweetest souls to grace this earth. When she passed away, it was years before I could even talk about her without crying….even now…it’s really hard. Seems silly to most I suppose but we really loved that little four legged lab. One of the things I miss the most about my little boutique was working with other independent artists, having trunk shows for them, and watching them Shine! So when I met Brett over at I AM THE LAB and realized he too had a similar vision to help other artists, it was a no brainer that I wanted to work with him. As it always seems to go, when you do something with the intention of helping others, one always seems to benefit. When Brett asked if I wanted to be “part of” what he was doing, I felt very honored. Now I was on the receiving end of being supported. Thank you Brett! 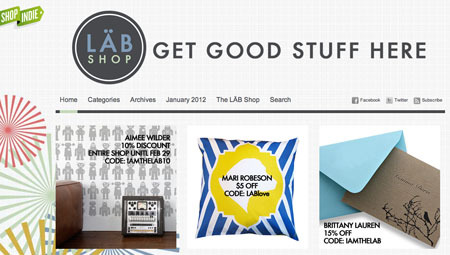 And as a little bonus for you, if you check out Brett’s shop, not only will you see many lovely goodies but I’ve added a special discount on my new collection of Lab Lovin’! From all of us independent artists out there we appreciate your support as you are the ones that help us raise our families, buy new soccer cleats, put food on our table…you get the picture…we Really appreciate you!